It is now well over a month since President Muhammadu Buhari was sworn in as President and Commander-in-Chief of the Armed Forces of the Federal Republic of Nigeria, and to say that many Nigerians are somewhat disappointed at the seeming slow pace of activities of the Buhari led administration would not be off the mark. There is a growing sense of discontentment in the air. 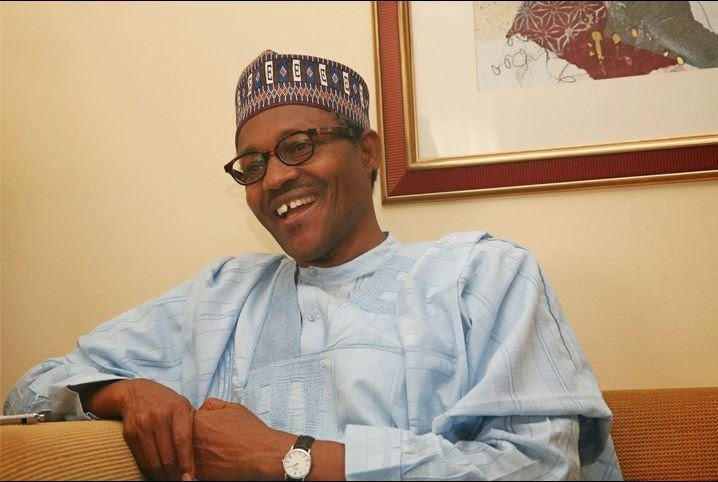 Buhari’s victory at the polls and subsequent assumption of office came on the backdrop of extremely high expectations. Like I had predicted in a previous article here. Many Nigerians expect nothing short of the miracle of turning water into wine from Mr President, his pedigree as a no-nonsense former military head of state during his first stint at the helm of affairs further strengthened the popular belief that Mr President would dive right into things commando style, guns blazing and firing from all cylinders. But that has not been the case. Since the presidential inauguration on May 29, over 500 innocent Nigerians have been brutally killed either through bombings, beheadings or shootings by Boko Haram forces and Nigerians are understandably growing impatient with the new administration. The repeated “condemnation” of Boko Haram’s dastardly acts by the president won’t cut it at this time, as it is reminiscent of the sing-song of the last administration. A deja vu that Nigerians do not wish to relive all over again. Boko Haram is getting bolder and deadlier in their attacks by the day! These blood suckers whose activities had been limited to the North Eastern part of the country have once again spread their tentacles to the North West and Middle belt regions of the country. No one needs to tell a discerning and sensitive government that there is fire (in this case a conflagration may be more apt) on the mountain. The relocation of the command and control centre of the military to Maiduguri in order to fully take the battle to the enemies of the state and give the fight against Boko Haram the much needed bite, coupled with the multilateral military alliance with neighbouring states of Cameroun, Niger and Chad have for some strange reason so far failed to translate into a meaningful onslaught against the deadly sect. The upper hand the Nigerian military gained during the last few weeks of the Jonathan administration appears to have fizzled out and they are now at the receiving end of a battle they were only weeks ago winning. Nigerians are aware that there is a complete rot in the system and it would take a herculean effort and determination to get institutions to function properly given the level of impunity and financial recklessness of previous governments (contrary to what some may think; the Goodluck Jonathan administration is not solely responsible for the precarious situation we have found ourselves as a nation) who practically ran Nigeria aground. But, that is why Nigerians chose to pitch their tent with an incorruptible retired general and sent the last administration packing. An incessant blame on the immediate past government for the level of decay and slow pace of work we are currently experiencing is no longer tenable. President Buhari must understand that Nigerians are eager to see the positive change he and his party promised will come if voted into power. It may seem a short time to assess an administration, but it is pertinent to remember that urgent situations call for a swift response! The terrorists are certainly not relenting in their senseless quest for blood going by the statistics that have been growing in alarming numbers since the 29th of May, therefore there is really no time to coast into action but rather to swing into it as soon as possible! I personally believe the Buhari led administration possesses the intent and capacity to propel Nigeria from the doldrums of directionless despair to a reasonable level of stability in the four years that it has been mandated to do so, but I suspect the President is taking his time especially in the area of naming a cabinet because he is determined to find the right pegs for the right holes and not charlatans and demagogues who will only succeed in derailing the change train. However, the number one citizen must realize that for every day he pussyfoots over taking concrete decisions that should stir the country is a clear direction, the average Nigerian will be the worse for it. Already, the fuel queues are back in the major cities of Lagos and Abuja, with premium motor spirit selling above the approved pump price yet again, the naira continues its downward slide against the dollar, the Nigerian Stock Exchange is certainly not enjoying the best of times, and of course the Boko Haram massacre which has continued unabated! Nigeria still feels like a country on auto-pilot. The first half of 2015 was fraught with problems of chronic fuel scarcity and a very weakened economy. The Buhari- Osinbajo administration must work out a turnaround formula pretty soon. It will not be out of place to address the nation at this time in order to inform the citizenry of governments plan of action in tackling the nagging issues we are currently facing. Nigerians urgently need reassurance that they have voted in people that actually have their interest at heart, particularly now that the goodwill on the back of which this government rode into power is fast waning. The time to act is now! Good thoughts. I hope they get to read this as it should let them understand that the patience oF nigeriaNs will soon burn out oo and more especially with the rubish power tussles we hear about the APC party leaders/seNate. They should quickly put all distractions behind and start work “sharp-sharp”. You can say that again. Thanks sir. Lol, oh well…I think it’s just that Buhari’s reputation inspires plenty of hope that there would be a departure from the status quo which many can’t wait to see come to fruition. I also believe we should be more patient, but the number of people killed daily by Boko Haram, the issue of security really can’t wait. Something must be done fast! Thanks so much for commenting sir. Little wonder a few have already christened PMB “baba go-slow”! To say our patience is fast burning out is to say the least. While some of us definiely did not expect any form of “abracadabra” from this administration, decisive actions in burning areas of concern were expected in the minimum. BH seems to be saying to Nigerians that “if you like, move military base to sambisa forest, we will only become deadlier!”. . Personally, i am not so eager on the cabinet bit as i believe capable perm. Secs. Should do well in steering the affairs of the various ministries pending appointment of the ministers. I will however love our dear PMB to take urgent and decisive steps in curtailing the BH menace and tackling the perenial fuel crises. Baba, kindly expedite prompt necessary action. PERFORM!!! PS; the dissolution of the NNPC board is a step in the right direction. Complimentary actions that will yield concrete results should follow ASAP! Otherwise, it may jolly well just amount to plenty movemen but no motion. Lol @”Baba slow,” Direction is always better than speed anyway. I also love what he did with the NNPC board. Let’s just hope Baba moves things along a tad bit faster especially in tackling those merchants of death. Thanks for your ever invaluable comments. Nigerians should learn to swallow the ” chill pill”, Rome was not built in a day,change is a gradual process, he can’t make everything right in a day, the system is so corrupt, there are unknown forces who don’t want peace in Nigeria, even the GEJ can attest to it. Not that I am supporting PMB, he knew what he was getting into when he decided to run for presidency, he better start acting fast and not make excuses like “I wish I were younger I would have done better “. More importantly, we need serious prayers in this country, the system is so rotten, it is only God that can save us. Need I say more? Thanks a lot Mayowa. hmnnnn.nigerians are too impatient if you ask me.they quickly jump a queue or process.fast fast no matter how. You’re right. The thing is, I’m not sure that habit of being impatient will end anytime soon. Thanks for your comment dear.